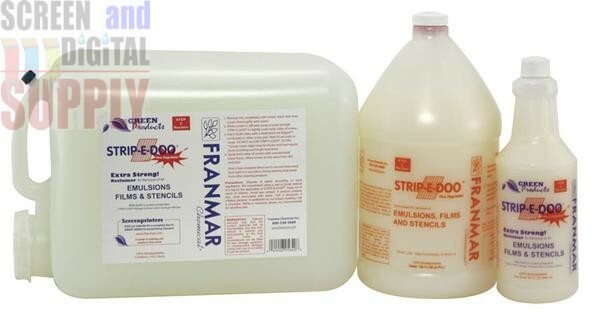 QUART Strip-E-Doo Emulsion Remover "CONCENTRATE"
GALLON Strip-E-Doo Emulsion Remover "CONCENTRATE"
NOW AVAILABLE IN CONCENTRATE !!!! Emulsion Remover Concentrate is specifically designed to penetrate and dissolve all types of emulsion as well as capillary film without weakening the mesh. Blend at a ratio of 1 part concentrate to 19 parts water for best results.